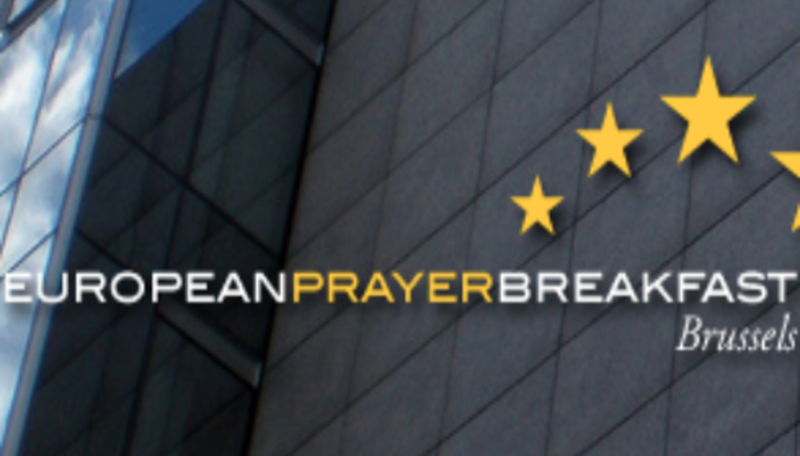 ECAL Convenor Jan-Aage Torp will attend the European Prayer Breakfast on December 3rd-4th, held annually in Brussels, Belgium, which links followers of Jesus from around the European Union in prayer and friendship. He has been invited to the European Prayer Breakfast in Brussels next week for Members of the EU Parliament & political institutions, and politicians from European nations. While in Brussels, Jan-Aage will also meet with apostolic leaders from several nations of Europe. The invitation letter, written by Mr. Alojz Peterle, former prime minister of Slovenia, states: "As Members of the European Parliament, we want to extend to you an invitation to attend the 16th annual European Prayer Breakfast (EPB) in Brussels. The EPB is an opportunity for Members of the European Institutions here in Brussels to gather with leaders from Belgium and other European nations around the Person and teachings of Jesus." Mr. Peterle, and the other co-hosts, are all members of the European Parliament: Hans-Gert Pöttering, Alf Svensson, Michael Gahler, Peter van Dalen, Sari Essayah, Hannu Takkula, Tunne Kelam, Slavi Binev, Miroslav Mikolášik, Anna Záborská, Csaba Sógor, Malcolm Harbour, Jerzy Buzek, Gay Mitchell, and Catherine Stihler.